Industrias Bachoco, S.A.B. de C.V. (NYSE:IBA) is another stock on a great run that remains too cheap. I’ve owned it since Q3 2011, and I still hold it because it’s the third cheapest stock in the All Investable Screener. It has a market cap of $2.7B, an enterprise value of $2B, and generated $410 million TTM to give it an acquirer’s multiple of 5.1, a PE of 9.1, and a FCF/EV yield of 19.6 percent. The company is a poultry producer in Mexico and the United States. To come up with comps, I used Capital IQ and searched for packaged food, meat processing, and poultry slaughtering companies that operate in Mexico and US with more than $10bn in market cap. There are a total of 10 results. 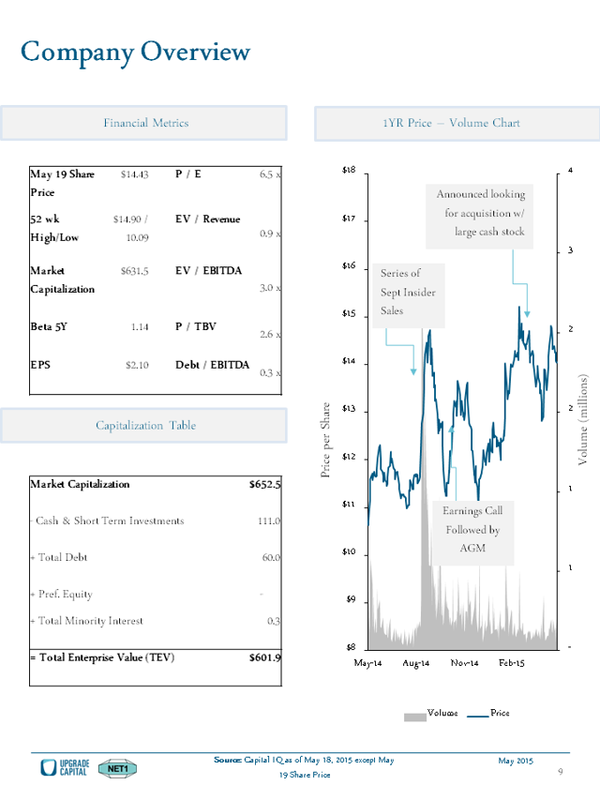 Using LTM P/E and P/BV measures, IBA appears to be significantly undervalued. 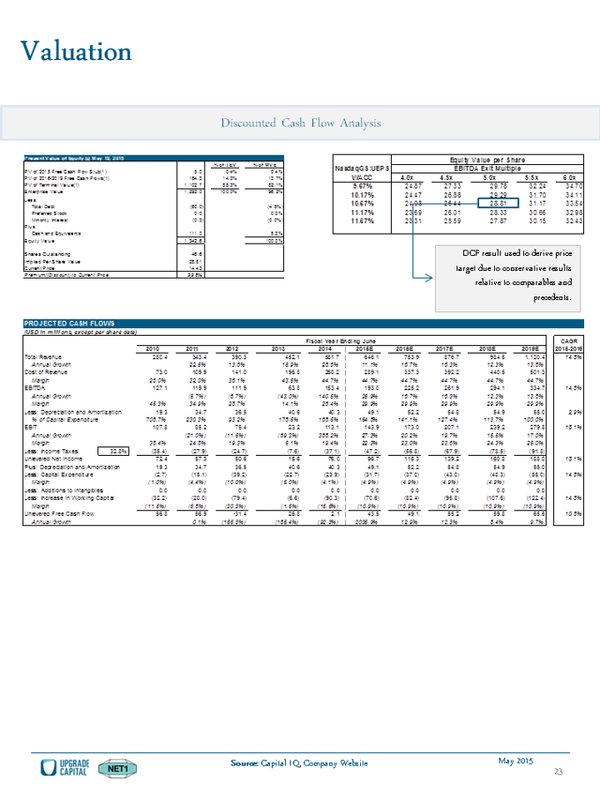 DCF (FCFF) model is used in valuing the firm. Key assumption includes the WACC of 9% (based on bottom-up beta method), revenue growth of 5.18% for the next 5 years and a perpetual revenue growth rate of 4%. You may feel that the perpetual growth rate of 4% is aggressive relative to the 2-3% we normally see for valuation in US and Canada. However, the valuation is based on Peso and the 10-year Mexico government bond has a yield of 5.62% as of February 6, 2015. In summary, IBA has a strong balance sheet and strong and resilient revenue growth. Its low D/E ratio and high AA+ debt rating allow the management to improve its ROE and shareholder value by taking on greater leverage (i.e. change in capital structure enhances value). Relative analysis shows that the firm is significantly undervalued compared to its peers. Intrinsic valuation also shows that the firm has up to 71% upside. Net 1 UEPS Technologies, Inc. (NASDAQ:UEPS) has been on a tear in 2015, up almost 40 percent year-to-date. Even so, it’s still the tenth cheapest stock in the All Investable Screener with an acquirer’s multiple of 5.7, a PE of 7.7, and a FCF/EV yield of 14.7 percent. It’s bought back $7 million of stock in the last twelve months too, so management are acting on the discount. Unbanked population, as defined by the World Bank, has no access to financial services or transaction processing. Instead, many tend to use cash which presents many problems. Net1 UEPS’s technology provides much needed services to African and Asian areas that are developing. 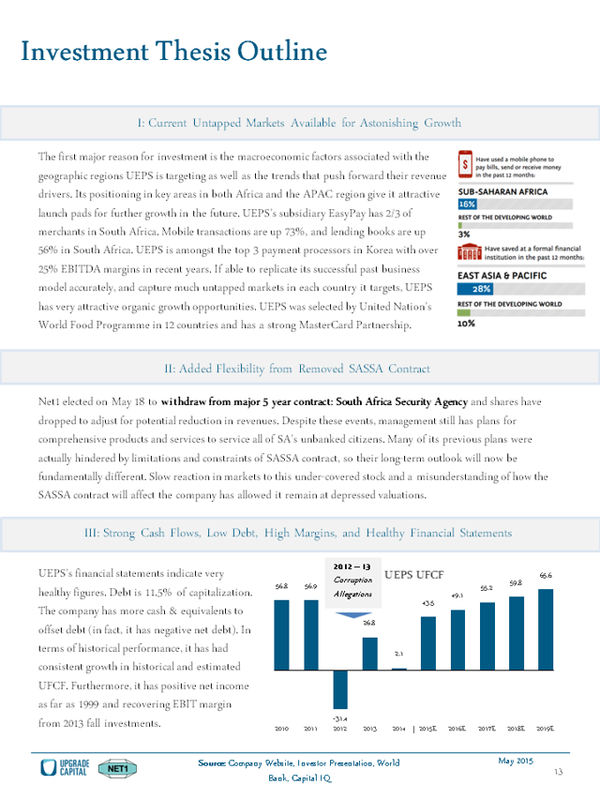 Growing trends in mobile use and mobile payments, coupled with organic growth opportunities provide UEPS with attractive macroeconomic tailwinds. Having recently elected to withdraw from RFP bid for new SASSA contract, there will be much more flexibility for the company given its past SASSA history and government regulation. Healthy financials with strong cash flows, low debt, high margins, high growth (20% 5YR CAGR), and large discount based on relative and intrinsic valuation. 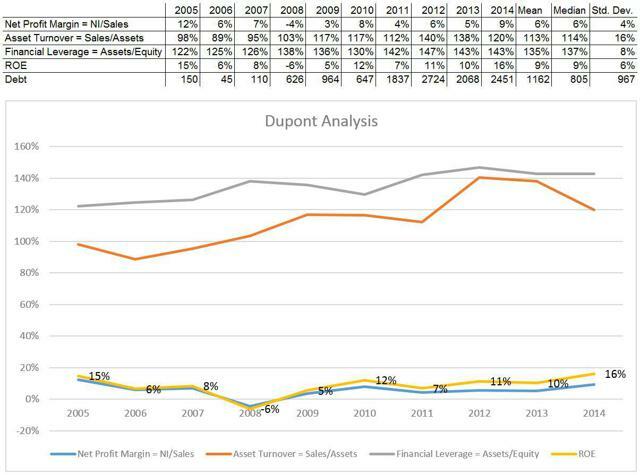 DCF implied valuation with 100% upside. He provides three investment theses. This is my favored thesis: It’s too cheap! The PDF of the presentation can be found here. 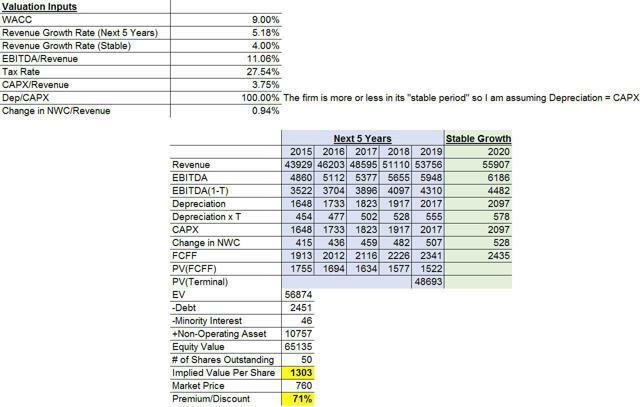 On June 8 Tobias published on this site my mechanical investment plan using the Acquirer’s Multiple. On June 4 I had established a dedicated account with $25,000 to trade the Plan. On June 8 I made the first trade. Specifically, I bought 594 shares of Nevsun Resources (NYSEMKT:NSU) at 4.21 on the close. This cost $2500.74 plus commission ($4.95) for a total cost of $2505.69. This is about 10% of my starting balance and is in accordance with the plan to build a ten stock portfolio, one stock at a time, over the first year. Nevsun has the lowest Acquirer’s Multiple of any stock currently listed on the All Investable Screen. This makes Nevsun the Qualifying Stock (QS), as defined in the Plan. Unless a completed takeover occurs in the meanwhile (we can only hope), I will hold Nevsun for a year before reviewing and probably selling. Nevsun pays a cash dividend, currently $0.04 quarterly. I did not state this in the Plan (I thought I had included everything), but I will not DRIP dividends into more shares of the paying company. Rather, I will let dividends accumulate in the account’s cash balance and evenly reinvest them over time as new positions are taken. Consider this Plan Rule #13. When it comes to number of news stories, Nevsun is not exactly as prolific as Apple Computer. That is why I was astonished that, exactly two minutes after I placed my buy order today (at 2:45 pm EDT), this story from Reuters appeared on Yahoo Finance (at 2:47 pm). The article tells about a U.N. report criticizing Eritrea’s human rights record that includes an allegation that Nevsun’s mine was built with forced labor. When this charge was made before, Nevsun had responded that the offending company was an Eritrean state-controlled subcontractor that the government had required Nevsun to use. Whatever the case, operating in Eritrea is the sort of thing that causes a stock to trade at an Acquirer’s Multiple of 2.06. I am not buying the stock, or avoiding it, because of articles on Seeking Alpha or Yahoo Finance. I am buying it because it’s the cheapest stock on the screen and that’s what the Plan says I should do. Period, end of story. For purposes of performance measurement, the starting benchmark for the account will be the Russell 3000 Index closing value on June 4. For performance measurement of the Nevsun position, the starting benchmark will be the R3K close on June 8. The Plan provides for the next buy in 36 calendar days. See you on July 14. The company trades as a low-margin fuel supplier with a ttm EV/EBITDA of just 4.0x, despite the large run in the share price over the last year. Much of that rise was driven by the increase in fuel margins as the price of diesel and gasoline fell. As it appears that the price of crude has bottomed, we expect fuel prices to slowly rise, which should help sustain the margins somewhat, although there will be headwinds.However, we think the market is missing the industry consolidation that is allowing better pricing margins in the fuel business. Applying a 4.0x multiple to just the fuel business while keeping the gross profit from the fuel business static, gives a value of approximately $200 million. The issue we have is that the business should be valued more as a truck repair/convenience store/QSR business which typically carry stronger multiples. Our work suggests the shares are worth approximately $24 by year-end with upside optionality should the company A) realize even stronger fuel gross margins in excess of 21.2 center per gallon and B) any of the strategic options are undertaken. A combination of those events could easily send the shares to $30 per share in a blue-sky scenario. TravelCenters of America continues to be misunderstood even though the shares have risen substantially in the last year. However, the rise in the share price is attributable to the rise in fuel margins driven by a sharp decline in retail gasoline and diesel prices. 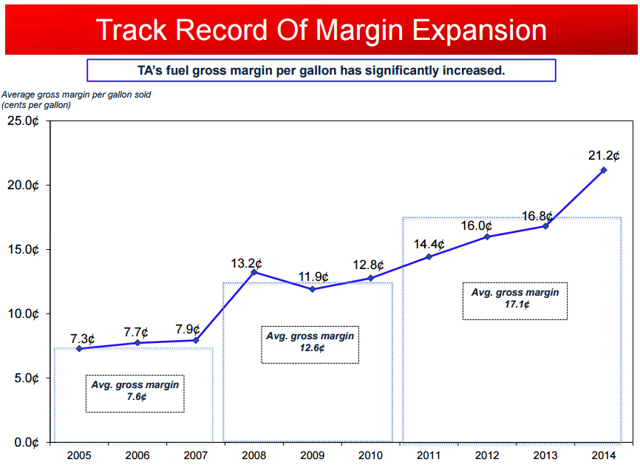 We think the market continues to miss the fact that this is not a low-margin fuel business but a QSR and truck repair business with strong margins. Valuing the business based on the sum of its parts where the majority of EBITDA is produced in the QSR/repair business, produces a much higher intrinsic value. Hence the reason that activists are swirling to unlock shareholder value through strategic options. We think the value is extremely cheap regardless of those strategic avenues and worth around $24 per share. For purposes of this plan, Qualifying Stock (“QS”) is defined as the stock on the All Investable Stock Screen (“Screen”) with the lowest Acquirer’s Multiple, after excluding stocks currently held in the portfolio. The fully invested portfolio will consist of ten QS and negligible cash. The initial portfolio will be constructed over the course of the first year by buying the new QS every 36 calendar days until fully invested. When any 36th day, measured from the date of the previous purchase, falls on a day U.S. markets are closed, the QS will be bought on the next trading day. Each stock will be reviewed shortly before the one year anniversary of its purchase. If its sale would result in a loss, sell just before the one year anniversary; if a gain, sell just after. Replace each stock sold with the current QS. If, however, the stock to be sold, would, if not already held, be the new QS, do not sell but hold for review again one year later. If a portfolio stock becomes the object of a takeover or merger that closes before the one year anniversary of its purchase, reinvest in the current QS as soon as the cash is received and / or any securities received in exchange are sold. Strive, at purchase, for equal dollar weightings of each stock, to the extent possible. However, no rebalancing trades will be made during a stock’s holding period. All trades will be market-on-close. No margin will be used. The performance benchmark is the total return of the Russell 3000 Index. These rules vary significantly from the implementation steps that Tobias recommends on this site. I am not suggesting that mine are superior. I would caution that while my plan makes sense to me, it is not entirely backed by quantitative research. One important difference is concentration. Tobias recommends twenty to thirty stocks for a full portfolio but I will hold only ten. Greater concentration tends to lead to higher returns at the cost of increased volatility. I am aiming for high returns so I accept volatility, but whether a ten stock portfolio is pushing concentration too far remains to be seen. It also remains to be seen how I will react when volatility actually strikes. I may be sending out for dramamine. By choosing the Screen’s single lowest TAM stock (not already held) ten different times, I expect to have a portfolio with a lower average TAM at purchase than I would by buying the Screen’s ten lowest TAM stocks all at once. This will depend on how often new stocks reach top ranking, among other factors. My approach may or may not benefit performance, but I am assuming that anything that drives a portfolio toward the Screen’s very lowest TAM stocks will be beneficial. As a cheapskate at heart, this feels right to me. Why trade every 36 days? Well, after 325 calendar days I will be fully invested (first purchase on day one plus nine times 36.) In another 36 days the first purchase will almost reach its one year anniversary. (In practice, these day counts will be pushed a little into the future due to weekends and holidays.) By perpetually spreading out the trades, I will somewhat even out the effect of short term market fluctuations and will take all calendar effects completely out of the equation. It will also avoid violation of wash sale rules. I will hold a substantial, though periodically decreasing, cash balance for the first year. I could, instead of cash, hold the temporarily TAM-uninvested portion in, say, a Russell 3000 index fund such as IWV and liquidate a little on each QS buy. However, with stocks at or near all time highs, I am exercising caution. This decision will come back to haunt me if the market keeps moving higher. I have included a couple of rules to cover unusual situations, such as takeovers and stocks that stay high ranked on the Screener in a specific way. If I go to sell XYZ and look to the Screener for the stock that will replace it, what if I find, for example, that I already own the first and second ranked stocks and there in position three is XYZ? If I did not already own XYZ, it would be my new QS. So, why sell it? Hold it for another year and check again. If, on the other hand, a new stock is in position three and XYZ is fourth, then I sell XYZ and buy the position three stock. Maybe I will rebuy XYZ when I make my next sale, but who knows? Things like that can happen when adhering to a mechanical plan. Why trade on the close? If I place a limit order, I may not be filled or the fill may be delayed and throw off my day counts. If I trade on the open, I join everyone who is reacting to overnight news or the latest stock story on CNBC. This tends to be unsophisticated, emotion driven trading. Trades toward the end of the day tend to be by professionals. I would rather trade with the pros. Trading on close also gives me a trade execution that I can easily correlate to an index closing value for performance measurement. I am using the All Investable Stock Screen because it combines good historical performance, reasonable liquidity and a wide range of potential securities. I looked at the stocks listed on the Small and Micro Cap Screen and could not justify holding a portfolio of such names for the possibility of only slightly better performance. As for capital allocation, I will initially invest 10% of the beginning cash in each of the first ten stocks chosen according to the rules. No rebalancing will be done during any stock’s typical one year holding period. However, upon sale, a large gain will not be reinvested completely in the new QS. Rather, some of the gain will be held as cash to restore some capital when reinvesting after taking a loss, with the balance, if any, spread as evenly as possible for reinvestment after selling the average performers. All portfolio stocks will be considered equally attractive and the temptation to overweight certain stocks that “look extra good” will be avoided. I have tried to think of every situation that could arise so that a rule is in place before it happens, rather than having to make a sudden decision in the heat of battle. Adhering to a plan is much more difficult than developing one. I hope that having other eyes watching what I do will keep me on the straight and narrow. I will report every trade soon after it happens and indicate the rules that caused it, along with information about portfolio value, cash activity, account balances and performance data. I have no business relationship with Tobias Carlisle or Eyquem Investment Management LLC, except as a paid subscriber to this site. I also need to point out that I am not an investment professional. I am reporting what I am doing, not encouraging anyone to follow along. I have no idea about anyone else’s financial situation or risk tolerance. Even if I did, I am not licensed or otherwise qualified to advise you. Nothing I write should be construed as investment advice, nor as an offer to sell or the solicitation of an offer to buy any securities. In other words, don’t try this at home. Tobias is providing us an actionable, promising and rational approach to the apparent chaos of constantly changing stock prices. I deeply appreciate that he is willing to give me space on the site to write about how I am using his service. *Bruce Murison worked for twenty years in different aspects of pensions and investments. Since 1995 he has been Executive Director of a charity. Click here if you’d like to see a current list of deeply undervalued takeover and activist targets using The Acquirer’s Multiple® (it’s free! ), subscribe to The Acquirer’s Multiple® or connect with me on Twitter, LinkedIn or Facebook. Management buy-outs can provide shareholders with the attractive control premiums currently experienced in the private M&A market. Alternatively, strategic mergers can immediately deliver large cap multiples to the small cap shareholder. This was the original inspiration for the acquirer’s multiple and the strategy. 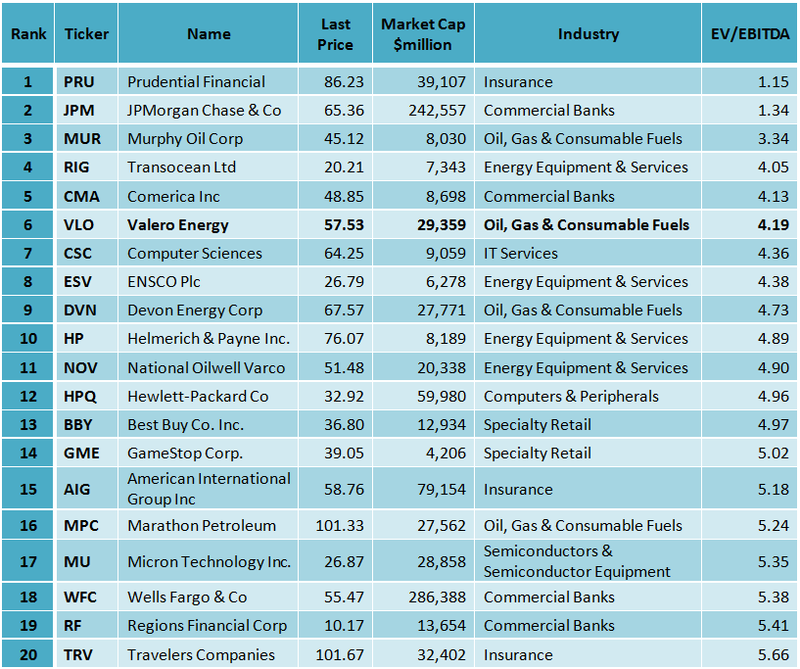 Many well-run and profitable public companies in the $50-250 million market capitalization range are now trading at a significant discount to the rest of the stock market. Is this a temporary, cyclical weakness in small stocks that is likely to reverse soon? No, these stocks have been permanently impaired by a shift in the economics of small cap investing. This persistent under-valuation is sure to be followed by a rise in M&A activity in the sector. We have already seen an uptick in the number of “going private” transactions and strategic mergers involving these companies. Management teams that identify this trend, and respond to it, will thrive. The inactive face extinction. 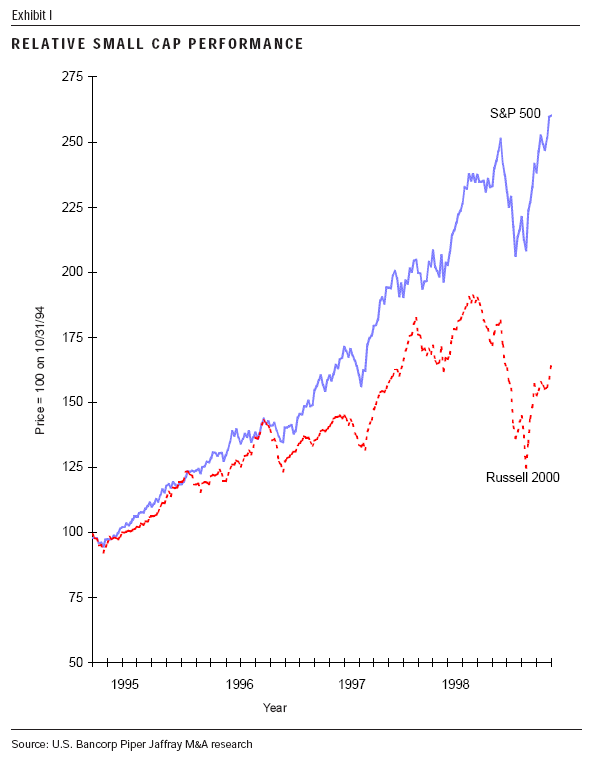 The accompanying graph, labeled Exhibit I, illustrates just how miserably the Russell 2000 lagged the S&P 500 not only last year but in 1996 and 1997 as well. Granted, small cap returns have tended to run in cycles. Since the Depression, there have been five periods during which small cap stocks have outperformed the S&P 500 (1932-37, 1940-45, 1963-68, 1975-83, and 1991-94). It is reasonable to believe that small caps, in general, will once again have their day in the sun. However, a closer look at the smallest companies within the Russell 2000 reveals a secular decline in valuations that is not likely to be reversed. 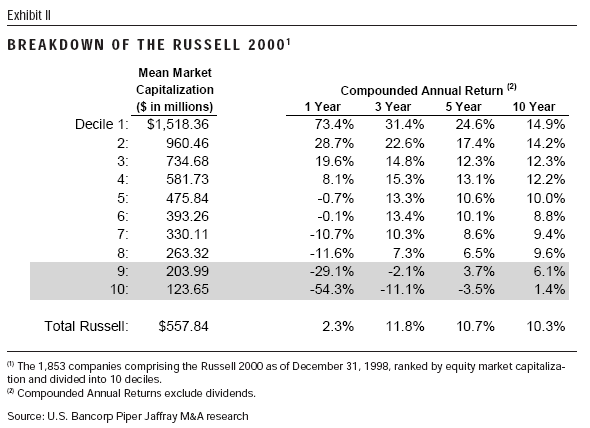 The table in Exhibit II divides the Russell 2000 into deciles according to market capitalization. Immediately noticeable is the disparity between the top decile, with a median market capitalization of $1.5 billion, and the tenth decile at less than $125 million. Even more striking is the comparison of compounded annual returns for the past ten years. 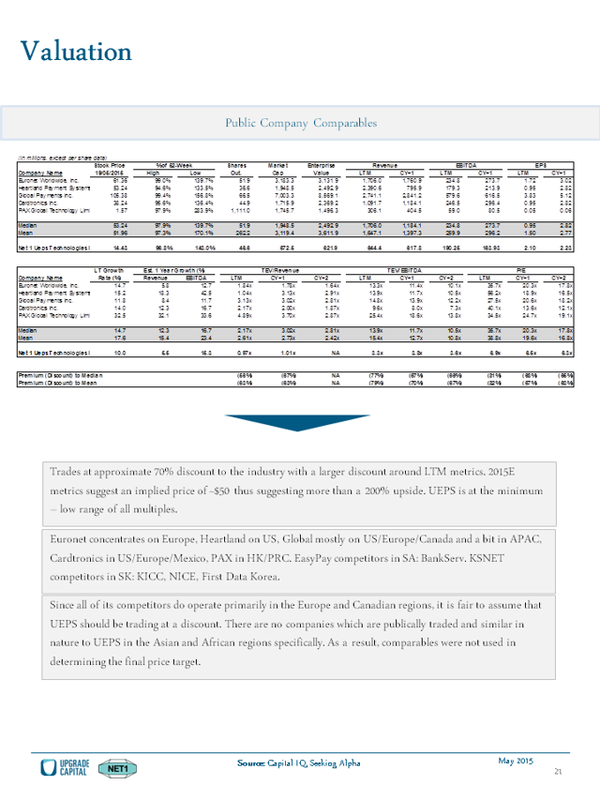 The data clearly demonstrates that it is not the commonly tracked small cap universe as a whole that is plagued by poor stock performance but rather the smallest of the small: companies less than about $250 million in value. Obscurity in the stock market translates into sub-par valuations. As shown in Exhibit IV, the smaller of the Russell 2000 companies significantly lag the S&P 500 in earnings and EBIT multiples. It is startling to find that with an average EBIT multiple of 9.0 times, many of these firms are valued below the acquisition prices of private companies. Reviving shareholder value requires a fundamental change in ownership structure. Equity must be transferred out of the hands of an unadoring public, and into those of either: 1) management backed by private capital, or 2) larger companies that can capture strategic benefits. Either remedy breathes new life into these companies by providing cheaper sources of capital, and by shifting the focus away from quarterly EPS to long-term growth. Despite the acceleration of orphaned public company acquisitions in 1997 and 1998, there remains a very large universe of attractive public small cap firms. We sifted through the public markets, focusing on the $50-250 million market capitalization range, to construct a list of the most appealing companies. 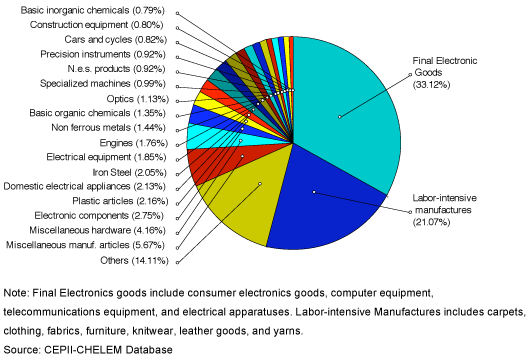 We narrowed our search by eliminating certain non-industrial sectors and ended up with over 1500 companies. We analyzed their valuations relative to the S&P 500. The disparity is so wide that the typical S&P 500 company could pay a 50% premium to acquire the average small cap in this group without incurring earnings dilution. Those dynamics appear to be exactly what is driving small cap takeover values. 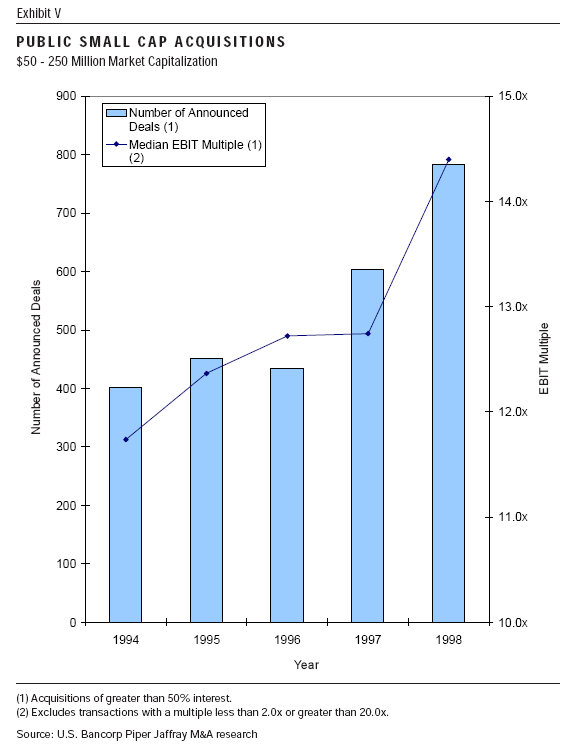 The median EBIT multiple paid for small caps in 1998 was roughly equal to where the typical S&P 500 trades. We honed in on those companies with multiples that are positive, but even more deeply discounted at less than 50% of the S&P 500. Finally, we selected only those with compounded annual EBIT growth of over 10% for the past five years. 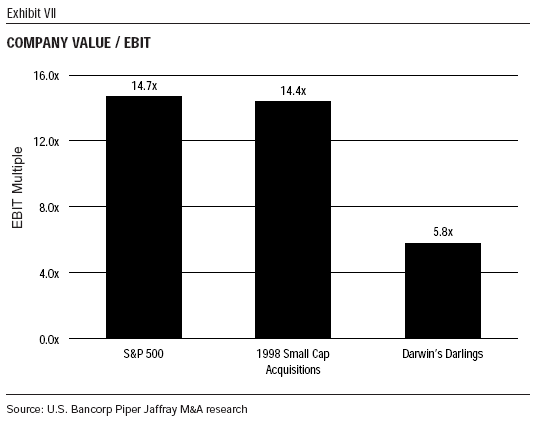 As shown in Exhibit VII, these 110 companies,“Darwin’s Darlings,” have a median valuation of only 5.8 times EBIT despite a compounded annual growth rate in EBIT of over 30% for the past five years. As detailed in the description of our “Darwin’s Darlings” in Exhibit VIII, management ownership varies widely among these companies. For recent IPOs of family-held businesses, management stakes are generally high. For those that were corporate spin-offs, management ownership tends to be low. We frequently find large blocks of these stocks held by small cap investment funds focused on likely take-over targets, leading to a surprisingly high percentage of total insider ownership (management plus holders of more than 5%). Regardless of ownership structure, these companies typically have the customary defensive mechanisms in place. They are also protected by the fact that they are so thinly traded. In most cases it takes more than six months to accumulate a 5% position in the stock without moving the market. Hence, we expect virtually all acquisitions in this sector to be friendly. There is no question that some very attractive targets cannot be acquired on a friendly basis. However, coercing these companies into a change of control means being prepared to launch a full proxy fight and tender offer. The answer may lie in another fact about them: On average, insiders own half their shares. When the proportion is that high, the insiders are most likely founders; they have enough stock to fend off any hostile approach, and they haven’t sold because they aren’t ready to give up control. Not many outside investors want to go along for that ride. Thus, low prices. But there’s still a logical problem. Since the companies are so cheap, why don’t managers buy the shares they don’t already own– take the company private at today’s crummy multiple, then sell the whole shebang at an almost guaranteed higher price? Going private has in fact become more popular than ever, but what seems most striking is how rare it remains. Of Piper Jaffray’s 1999 Darwin’s Darlings– 110 companies–only three went private in the following 12 months. That makes perfect sense if you figure that many of the outfits are run by owner-managers whose top priority is keeping control. Announce a going-private transaction and you put the company in play, and even a chummy board may feel obliged to honor its fiduciary duty if a higher bid comes along. Thus we reach the somewhat ugly truth about Wall Street’s orphaned stars: Many of them (not all) like things the way they are–that is, they like staying in control. The outsider owners are typically a diffuse bunch in no position to put heat on the controlling insiders. The stock price may be lousy, but when the owner-managers decide to sell–that is, to get out of the way–it will almost certainly rise handsomely, as it did for the 19 of last year’s Darwin’s Darlings that have since sold. So shed no tears for these scorned companies, and don’t buy their shares without a deep understanding of what the majority owners have in mind. In theory the spreading corporate governance movement ought to protect you; in practice the shareholder activists have bigger fish to fry. Such circumstances may keep share prices down, but that’s the owner-managers’ problem. At least, in this case, the market isn’t so mysterious after all. The third paragraph above best describes the reason for the emergence of the activists in the small cap sector in the early 2000s. Observing that stock prices rose dramatically when owner-managers of “Wall Street’s orphaned stars” decided to sell, and outside investors were “typically a diffuse bunch in no position to put heat on the controlling insiders,” activist investors saw the obvious value proposition and path to a catalyst and entered the fray. This led to a golden decade for activist investing in the small cap sector. It’s an interesting, and highly lucrative strategy, and an obvious extension for an investor focussed on deeply undervalued stocks and activist targets. For a list of small and micro capitalization stocks trading at a big discount to full value in a negotiated transaction, check out the Small and Micro Cap Screener (or, for non-subscribers, the free Large Cap 1000). National American University Holdngs Inc (NASDAQ:NAUH) may well be the most hated name in the most hated industry in the US–for-profit education–the bête noire for every value investor over the last 3 years. We’ve (almost) all bought them and lost money. I think it’s time for another look at the industry, and the name I like best is NAUH. At an acquirer’s multiple of 4.25, it’s the third cheapest name in the Small and Micro Cap Screener. It’s cheap because it’s in for-profit education, sales are down yoy and the CFO resigned March 23. NAUH has a $77 million market cap, a $51 million enterprise value, and generated $12 million in operating earnings (TTM), up 100 percent from $6 million over the prior twelve months. It pays a 0.045 per share quarterly dividend for shareholders of record on June 30, which equates to a 5.9 percent yield. Covering the dividend is no problem. It generated $18.8 million in net cash from operating activities for the nine months ended February 28, 2015 (the quarterly dividend costs $1.1 million), and it’s very liquid: At February 28, 2015, cash, cash equivalents and marketable securities were $38.5 million, and the quarterly dividend. The company can keep meeting those dividend payments, but it should put that cash to work either buying back stock or paying a special dividend. NAUH is a regionally accredited institution of higher learning offering associate, bachelor’s, master’s and doctoral degree programs in business-related disciplines, such as accounting, management, business administration and information technology, and in healthcare-related disciplines, such as nursing and healthcare management. Courses are offered through educational sites as well as online. In August 2013, NAUH was approved by the Higher Learning Commission to offer an Education Doctorate (Ed.D.) in Community College Leadership, which is offered in Austin, Texas. Operations include 37 locations located in Colorado, Indiana, Kansas, Minnesota, Missouri, Nebraska, New Mexico, Oklahoma, Oregon, South Dakota and Texas; distance learning service centers in Indiana and Texas; and distance learning operations and central administration offices in Rapid City, South Dakota. As of February 28, 2015, NAUH had enrolled 1,849 students in courses at its physical locations, 6,212 students for its online programs, and 1,534 students at its hybrid learning centers that attended physical campus locations and also took classes online. NAUH supports the instruction of 2,000 additional students at affiliated institutions for which NAUH provides online course hosting and technical assistance. NAUH provides courseware development, technical support and online class hosting services to various colleges, technical schools and training institutions in the United States and Canada that do not have the capacity to develop and operate their own in-house online curriculum for their students. NAU does not share revenues with these institutions, but rather charges a fee for its services, enabling it to generate additional revenue by leveraging its current online program infrastructure. The real estate operations consist of apartment facilities, condominiums and other real estate holdings in Rapid City, South Dakota. The real estate operations generated less than 1.0% of our revenues for the quarter ended February 28, 2015. From August 18, 2014 to August 22, 2014, the U.S. Department of Education conducted a program review of our administration of Title IV programs for the 2013-2014 award year, as well as our administration of the Clery Act and related regulations and our compliance with the Drug-Free Schools and Communities Act and related regulations. The on-site activities of the program review occurred at our Rapid City and Lee’s Summit campuses. The Department issued its preliminary program review report on November 5, 2014, containing findings and requesting additional information with respect to our implementation of requirements for returns of Title IV funds for withdrawn students, measurement of students’ satisfactory academic progress, verification of student eligibility for federal student aid, gainful employment program information disclosures, and enrollment data reporting. We responded to the Department’s preliminary findings and information requests on March 10, 2015. We are unable to predict whether the Department will request additional information in connection with this matter or when it will issue its final program review determination. If the Department’s final program review determination were to include significant findings of non-compliance with Title IV program requirements, it could have a material effect on our business, condition and results of operations. On November 21, 2014, the U.S. Department of Education notified NAU of its final audit determination with respect to the Title IV compliance audit for the period June 1, 2012 through May 31, 2013. The final audit determination asserts that NAU improperly disbursed Title IV program funds to students at the Wichita West campus location before it was approved as an additional location for Title IV program participation requirements by the Department in August 2013. This resulted in a requirement to return approximately $664 in Title IV funds and assessed interest to the Department. The Company has recorded this amount as a return of previously recorded revenue. This amount was timely remitted during the three months ended February 28, 2015 and is shown as a direct reduction of academic revenue during the nine months ended February 28, 2015. We have been institutionally accredited since 1985 by the Higher Learning Commission (“HLC”), a regional accrediting commission recognized by the Department. Our accreditation was last reaffirmed in 2008 for the maximum term of 10 years as part of a regularly scheduled reaffirmation process. In May 2010, a three-person team from the HLC visited our central administration offices in Rapid City, South Dakota, in response to the university’s change of control request in connection with the November 2009 merger with Camden Learning Corporation. The change of control request was approved with a visit scheduled in 2014-15. On September 22-26, 2014, we hosted a comprehensive accreditation review team visit. On January 30, 2015, NAU was notified that our accreditation had been reaffirmed by the Institutional Actions Council of the HLC, effective January 26, 2015, for a period of 10 years. On October 23, 2014, the Department published final regulations regarding the definition of “adverse credit” for borrowers of certain loans. On October 20, 2014, the Department also published final regulations addressing topics related to, among other things, the scope of campus crime statistics that Title IV participating institutions are required to distribute to current and prospective students and employees. These final regulations will be effective on July 1, 2015. On October 31, 2014, the Department published final regulations to define whether certain educational programs, including all programs offered by NAU, comply with the Higher Education Act’s requirement of preparing students for “gainful employment” in a recognized occupation. The final gainful regulations require each educational program offered by proprietary institutions to achieve threshold rates in two debt measure categories: an annual debt-to-annual earnings (“DTE”) ratio and an annual debt-to-discretionary income (“DTI”) ratio. The final regulations eliminate the debt measure category related to program cohort default rates that was contained in the proposed regulations. The various formulas are calculated under complex methodologies and definitions outlined in the final regulations and, in some cases, are based on data that may not be readily accessible to institutions. The DTE ratio is calculated by comparing (i) the annual loan payment required on the median student loan debt incurred by students receiving Title IV Program funds who completed a particular program and (ii) the higher of the mean or median of those students’ annual earnings approximately two to four years after they graduate, to arrive at a percentage rate. The DTI rate is calculated by comparing (x) the annual loan payment required on the median student loan debt incurred by students receiving Title IV Program funds who completed a particular program and (y) the higher of the mean or median of those students’ discretionary income approximately two to four years after they graduate to arrive at a percentage rate. The Department receives the earnings data used to calculate these ratios from the Social Security Administration (“SSA”), but institutions do not have access to the SSA earnings information. The final regulations outline various scenarios under which programs could lose Title IV eligibility for failure to achieve threshold ratios over certain periods of time. A program must achieve a DTE ratio at or below 8%, or a DTI ratio at or below 20%, to be considered “passing.” A program with a DTE rate greater than 8% but less than or equal to 12%, or a DTI rate greater than 20% but less than or equal to 30%, is considered “in the zone.” A program with a DTE rate greater than 12% and a DTI rate greater than 30% is considered “failing.” A program will cease to be eligible for students to receive Title IV Program funds if its DTE and DTI ratios are failing in two out of any three consecutive award years or if both of those rates are either failing or in the zone for four consecutive award years for which the Department calculates debt-to earnings rates. The final regulations also require an institution to provide warnings to current and prospective students in programs which may lose Title IV eligibility at the end of an award or fiscal year. If a program could become ineligible for students to use Title IV Program funds based on its ratios for the next award year, which could occur based on the program’s DTE ratios for a single year, the institution must: (1) deliver a warning to current and prospective students in that program at the prescribed time and by a prescribed method which, among other things, states that students may not be able to use Title IV Program funds to attend or continue to attend the program (“Warning”); and (2) not enroll, register or enter into a financial commitment with a prospective student in the program, until three business days after (a) a Warning is provided to the prospective student or (b) a subsequent Warning is provided to the prospective student, if more than 30 days have passed since the Warning was first provided to the prospective student. If a program becomes ineligible for students to use Title IV Program funds, the institution cannot seek to reestablish the eligibility of that program, or establish the eligibility of a similar program, based on having a classification of instructional program (“CIP”) code that has the same first four digits as the CIP code of the ineligible program, until three years following the date on which the program became ineligible. In addition, among other requirements, the final regulations impose extensive reporting and disclosure obligations on institutions offering gainful employment programs. The final regulations will be effective on July 1, 2015. We are in the process of evaluating the effect of the final gainful employment regulations and the other new regulations on us. While we cannot predict with certainty what impact the final gainful employment regulations will have on our business, compliance with the final regulations could increase our cost of doing business, reduce our enrollments and have a material adverse effect on our business, financial condition, results of operations and cash flows. Uncertain, for sure, but too cheap, and worth another look. 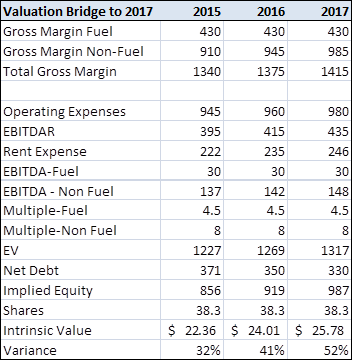 RCI Hospitality Holdings, Inc. (NASDAQ:RICK), at $11.72, is the eighth cheapest stock in the Small and Micro Cap Screener with an acquirer’s multiple of 5.57. RCI, formerly Rick’s Cabaret International, Inc., operates nightclubs that offer live adult entertainment, restaurant, and bar services primarily for “businessmen” in the United States. It operates adult nightclubs under the Ricks, Rick’s Cabaret, Tootsies Cabaret, Club Onyx, XTC Cabaret, Temptations, Jaguars, Downtown Cabaret, Cabaret East, Cabaret North, Bombshells, Ricky Bobby Sports Saloon, Vee Lounge, and The Black Orchid names. If you can get over the yuck factor, there’s a lot to like about the business and the company. It’s got a $120 million market cap, and with net debt of $64 million, an enterprise value of $184 million against $33 million in TTM operating earnings, up 40 percent yoy (sales are up 20 percent). RICK is the only publicly-traded adult entertainment company with 40 clubs across the country and is the industry leader. RCI’s 40 strip clubs account for only 1% of the total clubs in US market, let alone the 75 billion dollar global market opportunity. High FCF enables the company to act upon multiple catalysts that can unlock significant shareholder value. RCI is undergoing a significant market buyback that should give the stock a floor in the short term. Halfway through the year, total revenues are $75 million, that’s up 19%. Non-GAAP EPS is $0.96, that’s up 23% and adjusted EBITDA is $20 million, that’s also up about 23%. Given an industry leading position with presumably the most favorable financing terms in the industry, a forward P/E of 6 seems extremely modest even as it is a sin stock. Using an Enterprise Value of 185.5 million (124 M (market cap) +71.5 M (long-term debt) – 10 M (cash – estimated)) gives an EV/EBITDA of only 4.6. Given YOY EBITDA growth of 23% in first half of the year, I believe RICK should be trading at 10 times EV/EBITDA. Given the fact that it is a sin stock, I apply a 30% discount to the valuation leading to a 7 times EV/EBITDA. Using this method, I believe there is an upside of ~70% from current valuation. Alternatively, I believe the stock should at least trade at 10 times annualized earnings. With an annualized EPS of $2 this would imply a $20 share price, which would imply a 67% upside. I believe that if RCI can stick to its core operations of clubs and organically grow its business without any future lawsuits, it could largely overcome this sin stock discount. Many large players in tobacco with long histories of solid earnings growth such as PM, MO, LO and others have P/E ratios far excess of RCI’s. The sin stock discount is fair now given the current lawsuit ending, but if RICK can avoid future lawsuits, I see no reason for RCI to earn below market multiples on earnings thus possible, further expanding share price projections above. 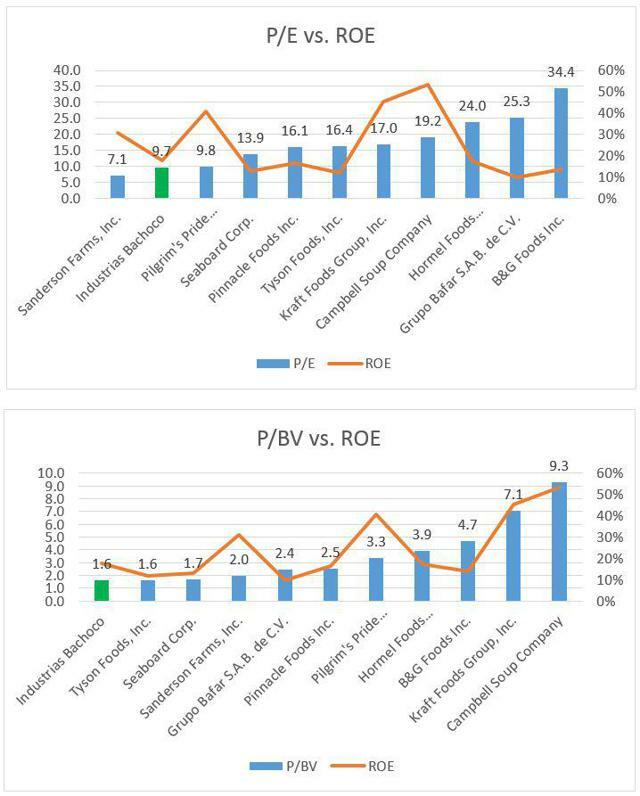 RICK also has less cyclicality than defense and gambling stocks, which earn higher multiples thereby indicating that RCI should earn at least market average valuation if it is able to achieve solid top and bottom line results in the future. We launched a distribution program in Florida in April with Southern Wine & Spirits. Southern is the country’s largest wine and spirits distributor and operates in 35 states. We are negotiating a manufacturing agreement to significantly lower the cost of product. As we mentioned before, we currently import Robust from the UK. Robust is in the process of launching a fourth flavor, pineapple, which was requested by customers. We reached an exclusive agreement with Legends at Toyota Stadium in Dallas to serve Robust. Toyota Stadium is the home of FC Dallas which has been growing in popularity. Management stated that next quarter they will break out Robust energy segment. Increased transparency is a great step from an unfocused management team that seems to be taking the right steps currently. Stock Buyback – RCI used 1.9M in the last quarter to buyback ~2% of the float and has another 7 million in share buyback program left. If the remainder of shares were bought at current price of $12, RCI would retire ~5.5% of the float. Retiring over 5% of outstanding shares on a highly profitable business will enable bottom line to become even more robust as well as put a temporary floor on the shares until the buyback program is completed. Paying down expensive debt – RCI announced that it has fully paid down the debt taken in association with the Tootsie acquisition, which was financed at 14% interest. Management estimated that paying off this debt will free up $4 million in cash on an annualized basis. Cash flow should be further increased from newly acquired loans from community banks at 5-6% interest rate. Paying down this debt in conjunction with refinancing 9-13% loans into the 5-6% range will significantly lower the interest expense thereby freeing up more cash flow. High free cash flow – RCI has FCF of 15 million on an annualized basis, which makes the stock trading at only 8.26 times FCF, which I believe will prove to be a conservative figure. The retirement of Tootsie acquisition debt, new financing at significantly lower rates, and decreasing overall leverage will create a significant increase from already strong free cash flow. Strong cash flow can be utilized for expanding core operations, reducing expensive debt, new acquisitions, and should be a major factor towards share price appreciation. I believe if management can continue to restructure their capital base to a lower cost, they will unlock significant shareholder value. Company ripe for activist takeover – Given the moat and market opportunity RCI has, I believe there is tremendous shareholder value that can be created by simply operating existing clubs and acquiring new ones with strong free cash flow generated from operations. While I believe management can do this on their own, they continually deviate away with restaurant purchases and the energy drink acquisition. I believe an active investor with a significant portion of shares could take control or influence the company to the point where club acquisitions are the company’s only focus and create significant shareholder value. Western Refining, Inc. (NYSE:WNR) is the second cheapest stock in the Large Cap 1000 Screener (which is free), trading on an acquirer’s multiple of 5.9. It produces refined oil products at three refineries: one in El Paso, Texas, one near Gallup, New Mexico and one in St. Paul Park, Minnesota. WNR sells refined products primarily in Arizona, Colorado, Minnesota, New Mexico, Wisconsin, West Texas, the Mid-Atlantic region and Mexico; and through bulk distribution terminals and wholesale marketing networks and sells refined products through two retail networks with a total of 521 company-owned and franchised retail sites in the U.S. It trades on a PE of 7.9, and, with a dividend yield of 7 percent, and a buyback yield of 6 percent, offers a very health shareholder yield of 13 percent. Western Refining enjoys some of the highest margins in the industry. Low leverage, cash generating machine trading at a discount to peers. Management committed to shareholder returns – great yield, hefty share repurchases, special dividends.Western Refining (NYSE:WNR) has put itself in a solid position lately but has not seen much love from the broader market which I feel is a bit undeserved. The company operates in a highly advantaged position that is simply not being reflected by the market and I think it deserves a little bit more love. The company’s operations are simple: it buys oil (most of it domestically produced, in many cases shipping along pipelines it has ownership interest in), refines it into crude-derived products like gasoline, which it then can sell through its own wholesale fuel distribution and retail network. Outside of actually finding and drilling for oil, Western Refining has stakes in the entire chain of events up to the point you squeeze your finger on the gas pump to fill your vehicle. This gives the company almost complete control over one of the most demanded goods that Americans buy. To complicate things, much like many other operators in the space, the company has made use of tax-advantaged MLPs. The company owns a 38.4% interest in Northern Tier Energy LP (NYSE:NTI) and a 66.2% interest in Western Refining Logistics (NYSE:WNRL). Through its NTI ownership, it shares an interest in the company’s refining facility in Minnesota and NTI’s retail-marketing network of 254 convenience stores. WNR spun off assets into WNRL (a MLP) in 2013 to split off its storage tank/pipeline business and sold its wholesale operations to WNRL in 2014. Western Refining is Western Refining Logistic’s primary customer. What ties this whole conglomeration together and makes it all extremely attractive is the company’s three refineries and certain advantages they enjoy (these are located in El Paso, Gallup, and St. Paul). The El Paso, Texas location sits near the Permian Basin, long a hotbed for United States domestic production. El Paso is a big hub for pipelines leaving the Permian, and Western Refining takes full advantage. In addition, the company’s own pipeline assets run between the San Juan Basin (which feeds the Gallup, New Mexico refinery) southeast to the Permian Basin, helping link both of these refinery locations together. All of these advantages have led Western Refining to have one of the highest gross margins in the refining business. 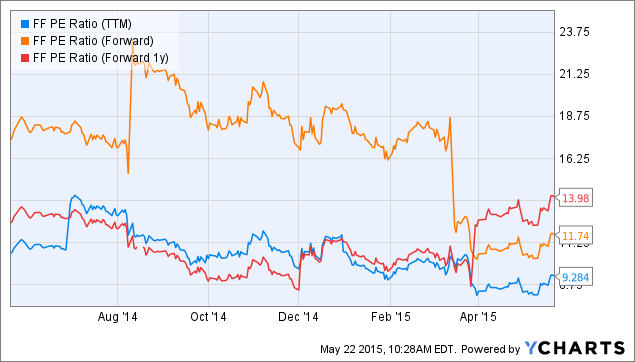 Recently boosted, Western Refining’s approximate 3% dividend yield is nothing to sneeze at. The company’s $1.36 annual dividend is easily covered by free cash flow (current payout ratio of 52%), leading me to view it as fairly stable even if the company’s business is materially impacted. For those who love free handouts, the company is also prone to throwing special dividends to shareholders – In 2012 the company handed out a $2.50 special dividend and another $2.00 special dividend in 2014. Share repurchases are also common – the company bought back almost 6.5M shares in 2014 for $260M, retiring a sizeable piece of the company’s float. All this led to a staggering $553M being returned to shareholders in 2014. With free cash flow predicted to be healthy all throughout 2015 and with $463M in cash on the balance sheet at the end of Q1, another special dividend isn’t out of the question. Humana Inc (NYSE:HUM), one of my very long-term portfolio holdings is seeking a sale. Humana, one of the country’s largest health insurers, is weighing a potential sale of itself after having been approached by several competitors, people briefed on the matter said on Friday. Any deal for Humana would be expensive: The insurer had a market value of about $27 billion before The Wall Street Journal reported on the company’s deliberations. Humana’s shares jumped 20 percent, closing on Friday at $214.65. Whether it catches a bid or not, it looks likely to be rebalanced out of my portfolio at the end of the quarter. It’s a sad day for me. I’ve held it since April 2010, and I’d be more than happy to keep holding it. While HUM had plenty of good years in the intervening period, it remained consistently the cheapest or second cheapest stock in my primordial version of the Large Cap 1000 screen, and so I kept holding it. A great first quarter and the announcement about chance of sale this week means that it has run away from the screen, and it time to say goodbye. Fortunately, there are plenty of good candidates in the Large Cap 1000 screen. It looks likely to be replaced by Fiat Chrysler Automobiles NV (NYSE:FCAU). At $11.59 FutureFuel Corp. (NYSE:FF) has an acquirer’s multiple of 4.4 and is another cheap company in the All Investable Screener. It manufactures and sells diversified chemical products, bio-based products, and bio-based specialty chemical products in the United States and internationally. FF has a $511 million market cap, $164 million in cash and no debt, giving it an enterprise value of $268 million and generated operating earnings of $59 million over the trailing twelve months. It has also earned operating and free cash flow on EV of 23.3 percent and 13.3 percent respectively over the last 12 months. Sales are down -28 yoy, which goes some way to explaining the discount, but at these prices it has a healthy 4 percent dividend yield, and trades on a PE under 10, which, along with a low acquirer’s multiple, makes it very compelling. Biodiesel and chemicals producer FutureFuel’s Q1 earnings report beat on EPS despite a big miss on revenue in the presence of low energy prices and weak demand. While the company’s biofuels segment had a forgettable quarter, the broader operating environment has improved since March as diesel prices have rebounded. Management has continued to conserve cash as it looks for accretive acquisitions with the potential to expand its downstream presence.While the firm’s shares still do not provide the margin of safety that I prefer to see, I recommend its shares in the event that volatility drives them below $11. FutureFuel’s balance sheet continued to improve, maintaining a trend that has existed since Q2 2014. Boosted by the retroactive reinstatement of the biodiesel blenders’ credit at the end of 2014, the company’s cash reserve rose to $160.4 million at the end of Q1, or almost double its level from three quarters ago (see table). The company also maintained substantial marketable security holdings at the end of Q1 that, if included, brought its total cash to $240 million. It entered Q2 with the extremely high current ratio of 6.4 and an assets-to-liabilities ratio of 4.5x. The company’s recent underwhelming earnings have yet to negatively impact its balance sheet in any meaningful way, leaving it with total cash that is equal to roughly half of its market capitalization. Based on its share price at the time of writing of $11.68, FutureFuel’s shares are trading at a trailing P/E ratio of 11.3x on an adjusted basis and 9.3x on a non-adjusted basis (see figure). It has a forward FY 2015 ratio of 11.2x and a FY 2016 ratio of 13.9x. All of these ratios are near the bottom of their respective historical ranges; as mentioned above, the FY 2016 ratio is based on a single low estimate and, in the case of the trailing ratio, the company’s 5-year average is notably higher at 13.5x. The company’s EV/EBITDA ratios also make its shares look undervalued. Its trailing and forward ratios are both well below the 3-year median (see figure), reflecting the bearish sentiment that has prevailed in the biofuels sector since late last year. While the ratios have recovered a bit since the release of the company’s Q1 earnings report, they have plenty of additional ground to cover before they return to the middle of their historical ranges, let alone the tops of them. A little over a month ago I travelled to Harvard to speak to Michael Parzen’s business statistics class on Deep Value and the acquirer’s multiple. Here is the recording of that talk. Click here if you’d like to see a current list of stocks with the best rank using The Acquirer’s Multiple® (it’s free! ), subscribe to The Acquirer’s Multiple® or connect with me on Twitter, LinkedIn or Facebook. Global Sources Ltd. (NASDAQ:GSOL) at $5.64 trades on a extremely discounted acquirer’s multiple of 4.2, making it the third cheapest stock in the All Investable Screener. It’s a Hong-Kong based business-to-business media company that facilitates trade from Greater China to the world, which likely goes some way to explaining the discount. If the accounts can be believed, it holds around more than $90 million in cash and equivalents. Gabelli and GAMCO have filed 13Ds as recently as October last year, paying up to $7.55 for the stock. GSOL has bought back stock at $9. Global Sources has a history of rewarding shareholders. 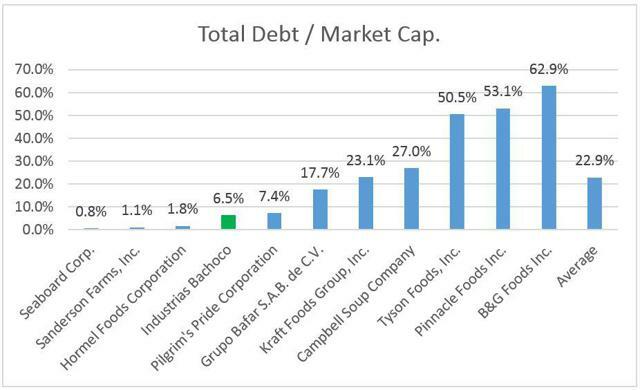 Global Sources has no debt, EBITDA margins of >15%, and ROIC of 9.5%. On a book value basis, Global Sources has a 63% upside. Originally, I found this stock after screening for these specifications on Charles Schwab:-ROE of company is highest 25% of industry-Price/Sales of stock is lowest 25% of industry-Price/Earnings of stock is lowest 25% of industry-Stock is 0-20% above 52-week lowsAfter Global Sources sparked my interest, I looked into the company more and was shocked when I found out that the company has no debt and a return on invested capital of 9.5%. As of December 2014, the company had $314,011,000 in assets including cash ($90,233,000) factoring out depreciation ($13,061,000). Total liabilities minus deferred income (assuming that the company attains these earnings) is $44,068,000. Subtracting liabilities from assets we come to $269,088,000. Dividing this number by the 30.22mm shares outstanding to get the book value, the number comes out to be $8.90. As of writing this article, the company’s shares trade at $5.45, therefore the book value per share represents a 63% upside in the stock price. Valero delivered strong results for the first quarter of 2015 which were a record first quarter for the company. According to my calculation, I see better margin in the current quarter for the refining and the ethanol production compared to the first quarter. Therefore, I anticipate a higher profit for Valero in the second quarter. The company will continue to benefit from lower crude feedstock costs, and from cheap natural gas as an energy source. Valero has compelling valuation metrics and strong earnings growth prospects; its Enterprise Value/EBITDA ratio is extremely low at 4.19, and its PEG ratio is also exceptionally low at 0.56. In addition, Valero is generating substantial cash flows and returns value to its shareholders by stock buyback and increasing dividend payments. VLO’s stock has retreated 10.8% from its 52 week high; that offers an excellent opportunity to buy the stock at a cheap price. 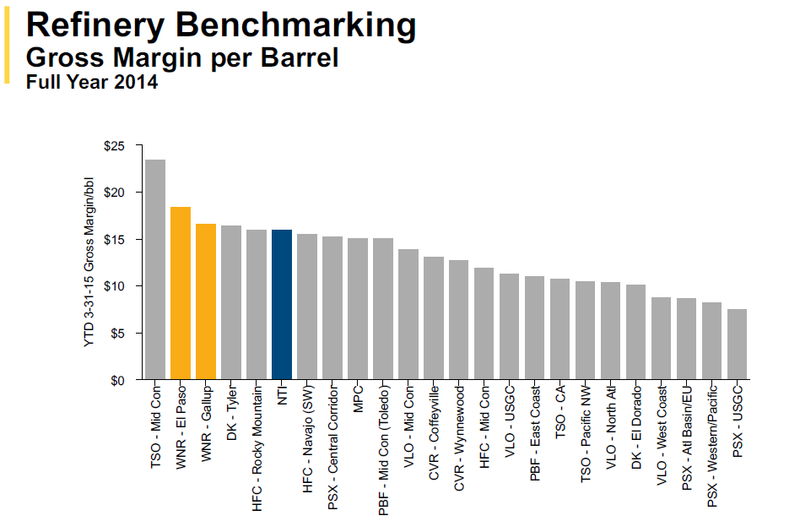 Valero’s valuation metrics are excellent. The trailing P/E is very low at 7.88, the forward P/E is also very low at 9.42, and its price-to-sales ratio is extremely low at 0.25. Moreover, Valero’s PEG ratio is exceptionally low at 0.56, and the Enterprise Value/EBITDA ratio is also extremely low at 4.19, the sixth lowest among all S&P 500 stocks. 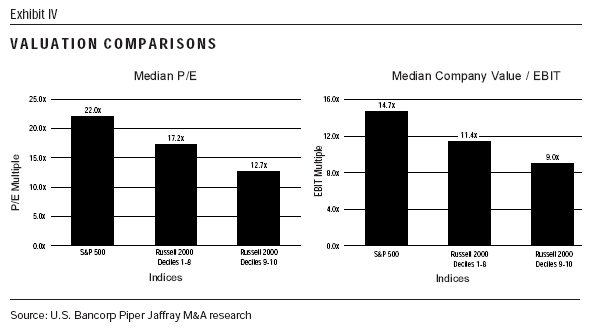 According to James P. O’Shaughnessy, the Enterprise Value/EBITDA ratio is the best-performing single value factor. In his impressive book “What Works on Wall Street,” Mr. O’Shaughnessy demonstrates that 46 years back testing, from 1963 to 2009, have shown that companies with the lowest EV/EBITDA ratio have given the best return. In addition, Valero is committed to disciplined capital allocation and to returning cash to stockholders. The company said that its goal in 2015 is to exceed 2014’s total payout ratio. In 2014, Valero returned $1.9 billion to stockholders, or 50% of net income from continuing operations, with $554 million in dividends and $1.3 billion in stock buybacks. In January 2015, Valero announced a 45% increase in its quarterly common stock dividend from $0.275 per share to $0.40 per share. The forward annual dividend yield is at 2.78% and the payout ratio only 16.6%. The annual rate of dividend growth over the past three years was very high at 51.8%, over the past five years was at 11.8%, and over the past 10 years was very high at 21.9%. Norsat International Inc (USA) (NYSEMKT:NSAT) is a Canada-based satellite communications company and, with an acquirer’s multiple of 7.36, a member of the Small and Micro Cap Screener. Norsat’s business units include microwave products; satellite terminals, including portable satellite systems; Sinclair Division, through which Norsat provides industry leading antenna and RF conditioning products, engineered systems and project specific design; Maritime Satellite Systems, and Remote Networks, providing end-to-end satellite-enabled network solutions for broadband access and voice, data and video communication services. Norsat also provides engineering consulting. Its key customers include NATO, the United States Department of Defense, Marine Corps, Army, Navy and Air Force; FOX News, CBS News; Boeing, Reuters, Motorola, TESSCO, and General Dynamics. The company is headquartered in Vancouver, Canada and maintains a presence in the United States, the United Kingdom and Switzerland. NSAT is cheap. In addition to itsacquirer’s multiple of 7.36, it trades for less than 10 times earnings, and generates OCF and FCF/EV yields of 18 and 16 percent respectively. It’s also buying back stock, so it ticks many of the boxes for me. Its gross margins are decent for a comms equipment provider, though it admirably manages its opex for strong net income margins. Also like the positive free-cash-flow margins as well as the respectable return on invested capital. Valuation metrics are beaten down. 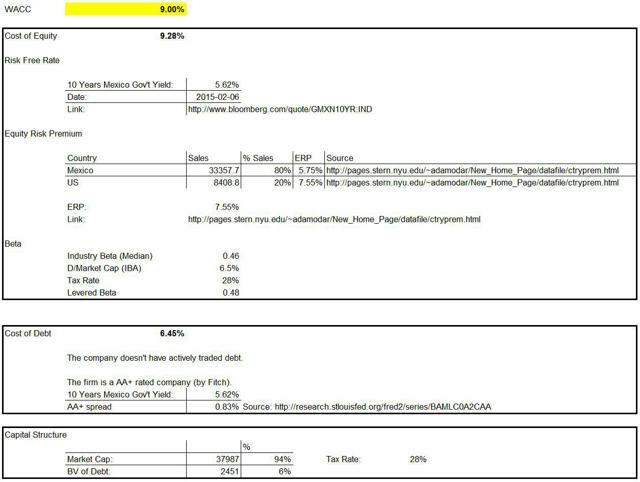 Look at that P/E ratio of 5.7x! Though this is only Privet’s 5th largest investment made, given the smaller market cap of NII, Privet owns 15.0% of the shares outstanding. Technology-focused activist targets, and more specifically the comms equipment subset of tech, are acquired at a higher rate than the rest of the field (38% vs. the 27% for the whole activist database). One of my favorite stocks in the Small and Micro Cap Screener is InTEST Corporation (NYSEMKT:INTT). It’s a ~$50 million market cap with a $27 million enterprise value generating 19 percent yield in operating earnings and cash flow. InTEST Corporation (INTT) is a designer, manufacturer and marketer of thermal, mechanical and electrical products that are used by semiconductor manufacturers in conjunction with ATE, in the testing of ICs. INTT is the 6th cheapest stock on theSmall and Micro Cap Screener with an acquirer’s multiple of 5.25. The current price of the company is around ~$4.71 with a market cap of <$50 million. INTT’s balance sheet is top notch. It has zero long-term debt, with a cash position that is 45% of the market cap. FCF is positive and it has increased YOY at a 28% rate. GAAP earnings have increased at a 10% rate YOY, but on a CAGR basis they have increased at a 16% rate in the past three years. What I like about INTT is the high amount of cash on the balance sheet. There are three key things that management can do with the cash on the balance sheet. Issue a dividend (the last dividend issued was a special dividend in 2012), buy back shares, or complete a strategic acquisition. Management (who owns 29.9% of shares outstanding), has been looking for an acquisition target for the past year. They do have one in mind but they need to wait for the end of the second quarter to make the final decision. Their plan is to branch off out of the ATE market to stabilize earnings due to the volatility of the ATE market. INTT is also an undervalued unnoticed company. What I mean by unnoticed is that the average volume in the past three months has only been ~21,563. With an EV/EBITDA of 4.07 and zero debt on the balance sheet they are the perfect acquisition target due to the undervaluation. Even if INTT does not get bought out they are a very well-run company with gross margins of >48% and FCF margins of 10%. I expect FCF, EPS and revenues to continue growing in the future. My rational for this is the historical growth of these former three items plus a great management team who has intent to acquire the perfect target for their business model. A cash position of $22.49 million will soon get deployed, either in the form of a dividend, share buyback or acquisition. In my opinion I feel like investors should expect an acquisition in the near future over the former two options. In summary: INTT is a zero long-term debt company with a huge cash position that makes up 45% of the current market cap of $50 million. FCF has grown at a 28% YOY and EPS has grown at a 10% rate. The company is the 6th cheapest stock on the Acquirer’s Multiple’s Small and Micro Cap Screener with an acquirer’s multiple of 5.25. In theory this company should outperform the market in the short term. Investors are advised to do their due diligence before making any investing decision. I’ve been pitching Argan, Inc. (NYSE:AGX) every chance I’ve had over the last 6 months. I pitched it on Bloomberg radio in October last year, and then again in December when Carol Massar reminded me it was down 15 percent. It’s back to where it was in October. 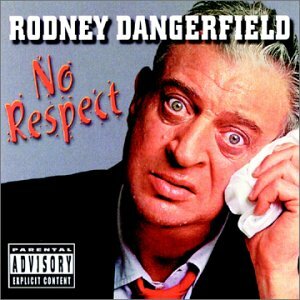 It’s one of those Rodney Dangerfield stocks that just can’t get no respect. It’s an energy related stock. You can’t count its cash because it’s all pre-payment. It’s got one big customer. And so on and so on. All true. It’s also very, very cheap. It’s the second cheapest stock in the All Investable Screener (and it’s been first or second for 6 months or more). Argan is significantly undervalued relative to its peers and the market. 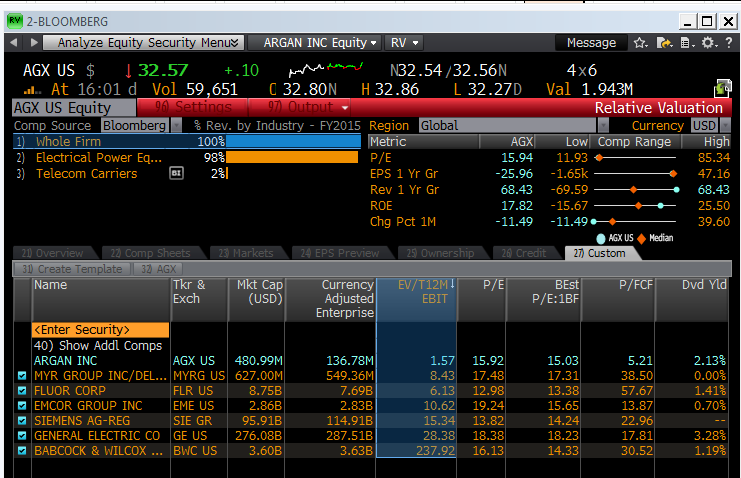 Argan’s cash hoard results in an enterprise value <33% of its backlog. Argan’s cash position allowed special dividends in each of the last four years and provides a buffer against any downturn in business. Argan, Inc. (NYSE:AGX) is primarily an engineering and construction firm that specializes in energy-related projects and has shown up in value investor Joel Greenblatt’s “Magic Formula” stock screener for several years now. AGX is one of those great stocks that stays cheap, or even gets cheaper, despite significant price appreciation. Closing at $32.57 on 5/8/2015, AGX sported a market cap of approximately $480mm and a P/E under 16. While that P/E seems reasonable, it’s not incredibly cheap. In the case of AGX, and most profitable companies, I think enterprise value/trailing 12-month EBIT is a more insightful measure. EV/EBIT provides a truer sense of a firm’s real value, relative to its recent operating results. This is especially true for AGX, which is sitting on a mountain of cash and cash equivalents: $334mm or 70% of its market cap. With a corresponding EV/EBIT ratio of just 1.6, AGX begins to look incredibly cheap. And by my own calculations, AGX’s current EV/EBIT ratio is almost 30% cheaper than it was at the start of 2014 (when I started tracking the stock) and 13% cheaper than the average ratio over that time period. So, even though the stock is up nearly 21% since the beginning of 2014, buying today is relatively less expensive than it was 16 months ago. That’s the kind of stock I love to own. As you can see, AGX is the cheapest by far. Why is AGX so cheap? I think AGX’s current cheapness is due to a combination of being obscure (it has a small market cap and is only covered by 2 analysts) and being dragged down with many other energy-related firms, since it peaked around $41 in September, as oil prices cratered. So what are the risks associated with AGX? AGX’s results are driven by a relatively small number of projects, one of which (Panda Liberty) is expected to be completed in spring 2016. Additionally, as can be seen in the screen above, AGX’s competitors are often far larger and AGX may remain obscure amid these larger firms. And, if volatility once again grips the oil market, AGX’s correlation with oil may strengthen, to the detriment of the equity, regardless of financial results. Additionally, there is a line item on AGX’s balance sheet called “Billings in excess of costs and estimated earnings.” While I’m not an accountant, my understanding is, this number reflects cash AGX has already received, which may be deployed to pay for completion of its projects. While it is a large number, at $162mm on January 31st, even adjusting AGX’s EV to treat this line item like debt, still results in an EV/EBIT of just 3.4. 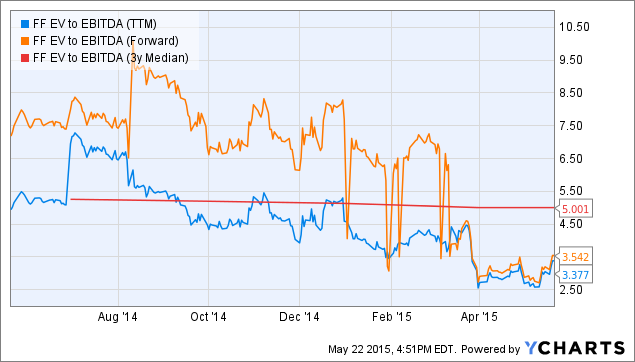 Given AGX’s TTM EBIT, I think fair market value for the equity today is ~$55. At that price, AGX would begin to approach, but still offer a discount, to the EV/EBIT of Fluor (NYSE:FLR), a large competitor which I also think is cheap and own. [Ed: I agree. It’s one of the cheapest stocks in the Large Cap 1000 Screener] Under a best case scenario, AGX’s results would broaden its visibility among investors, and it would start to approach a valuation closer to that of the overall market (the S&P 500 trades closer to 12x TTM EBIT). Under that scenario, the equity could double if EBIT does not deteriorate. While that scenario is unlikely, even approaching the valuations of its competitors gives AGX tremendous upside. The cash position creates a buffer to the downside and has allowed AGX to pay investors, via special dividends, to patiently wait for a more appropriate valuation. [T]he company has a top notch balance sheet. With current assets of $677 million and current liabilities of $73 million, the firm has a working capital of $604 million. Likewise, it has a huge current ratio of 9. It is also extremely interesting to calculate the net current asset value of the firm. This metric is calculated by subtracting total liabilities from current assets. With total liabilities of $360 million, Nevsun has a net current asset value of $317 million. Based on a market capitalization of $900 million, it is possible to conclude that the firm is truly undervalued. I want to mention that the current assets are mainly composed of cash and cash equivalents. In fact, the corporation has $514 million in cash. On the other hand, the most interesting part of the company is its enterprise value to EBITDA ratio. 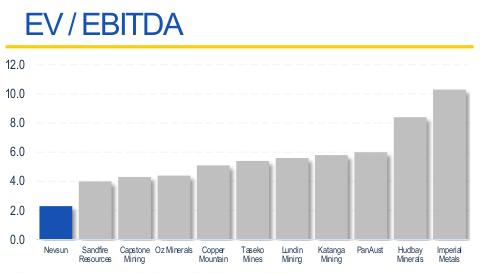 With an enterprise value of $716 million and a trailing twelve months’ EBITDA of $355 million, Nevsun resources has a EV/EBITDA ratio of only 2.01. This is the lowest in the entire industry. Every serious investor should be interested in this great opportunity. Few months ago, the firm revealed that it recently received inquiries from various parties about a potential takeover transaction. At the same time, Bloomberg reported that a Qatar equity fund called QKR Corp. was eying a US$1 billion bid. With more than $500 million in cash, the potential takeover would largely pay for itself. Due to the downtrend in the commodity prices, the industry is clearly in a consolidation process. On the other hand, absolutely no official offer came along. And it’s about to start mining some minerals in near-term deficit. Finally, the company has a huge upside potential with the zinc expansion project. In 2016, the flotation capacity will be expanded to produce zinc concentrates. A supply deficit in the zinc market is expected as soon as 2016. It is mainly due to the closure of large zinc mines. This factor will reduce the supply by approximately 10%. Yesterday I recorded a podcast with Fred Rockwell of The Bulldog Investor.